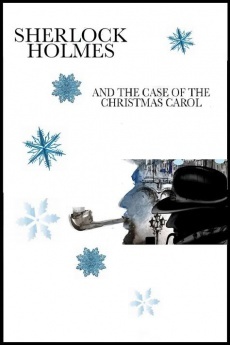 Sherlock Holmes and the Case of the Christmas Carol is a British play written by John Longenbaugh and directed by Andy Pandoff, performed at the Scarborough Theatre from 2 to 17 december 2016 (10 performances), starring Ross Saturno as Sherlock Holmes and Chris Hardess as Dr. Watson. 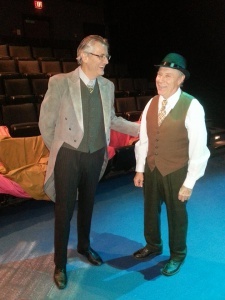 The play is a mix of Sherlock Holmes and Charles Dickens' Ebenezer Scrooge. What would happen if the most famous consulting detective in England faced the problems of the best known “humbug” in Christendom? Enter three Spirits, four if we count Moriarty, ready to teach a Yuletide lesson at 221-B Baker Street. Watch as Holmes experiences events of Christmas Days gone by, then of his present, and finally the shadow of his future in the dark days of World War One. Will Sherlock Holmes prove as successful a student as Ebenezer Scrooge?